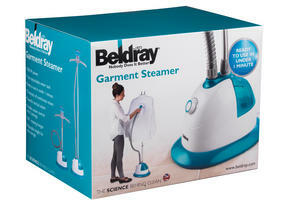 Achieve crease-free clothes with ease using this Beldray garment steamer. 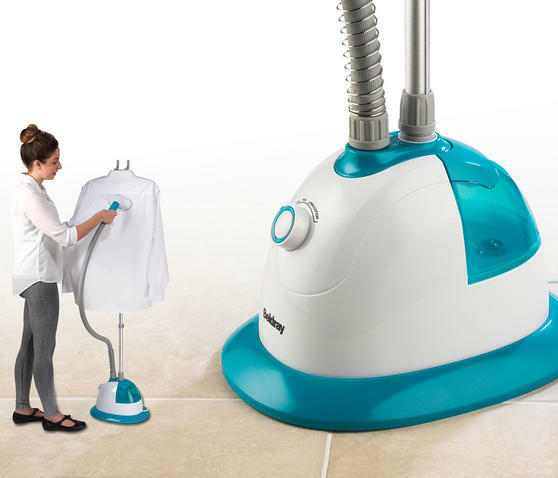 Featuring a detachable 1 litre water tank, 1500W power and variable steam control, it enables you to choose the correct setting to care for your fabrics. Ready to use in under 1 minute, it provides powerful vertical steam with 35 minutes of continuous use so you can steam for longer without stopping. 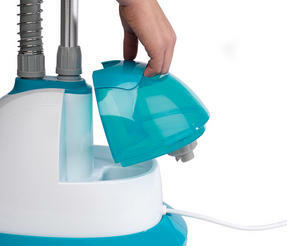 Attached is a rotating hanger to hold your clothes, while the adjustable height makes it simple to store away after use. Keep your clothes beautifully fresh with this brilliant Beldray garment steamer featuring an extension tube for further reach. Using 1500 W power, it can provide 35 minutes of continuous steam with an output of 27.5 - 33.6 g per min so you can steam efficiently. With 3 adjustable steam settings you can use the correct temperature in order to care for your fabrics to ensure the best results. The unit measures 37.5 x 27.6 x 165 cm and the detachable 1 litre water tank allows you to steam for longer without stopping to refill. 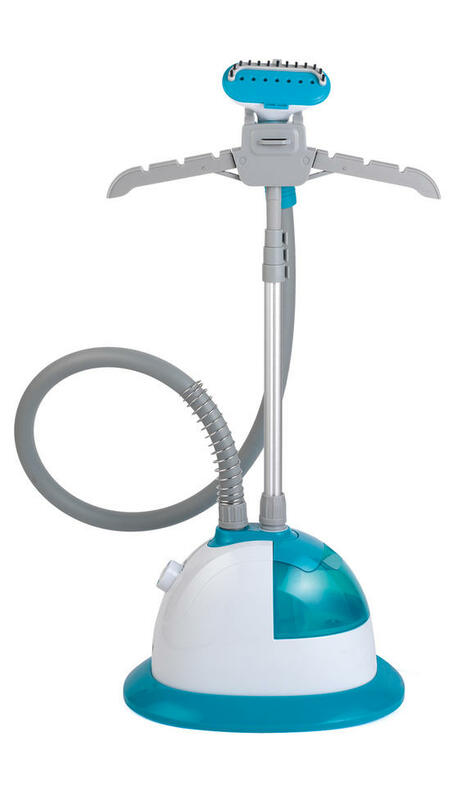 Providing powerful vertical steam, it comes with a 360° rotating hanger and a fabric brush to keep your clothes looking their best.